Join us for the first LilyPad Arduino workshop on Monday, April 15th! This workshop is designed for people new to microcontrollers and interested in e-textiles. 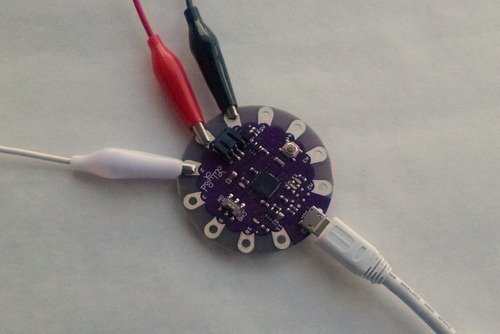 The LilyPad Arduino has been developed for sewable microprocessor applications. We will use the LilyPad to learn how to program a microcontroller and interface it with electronic components. No prior knowledge of electronics or programming required, however taking the “Hello World” workshop will give you a good foundation for the programming component. Please bring a laptop with the Arduino IDE and drivers installed (http://arduino.cc/en/Guide/ArduinoLilyPad). All materials are included in the $60 workshop fee. Call (206-357-9406) or come down to the shop to sign up. Space is limited.